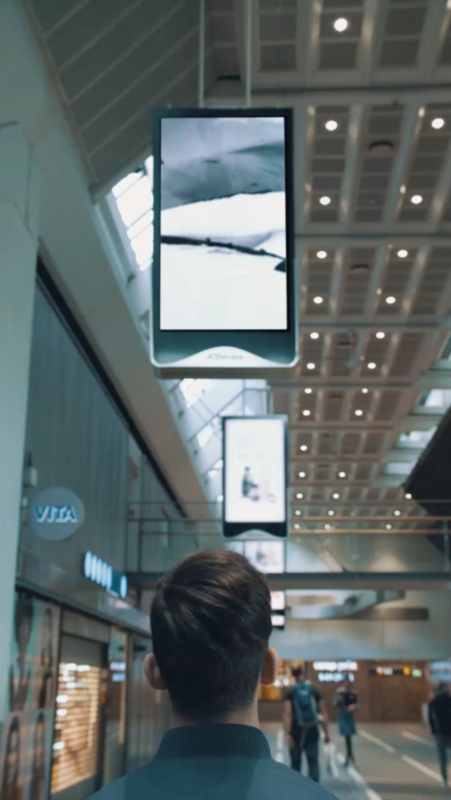 The multi-channel video work The Feedback Loop is an intervention in the flow of images projected on different public screens in and around Oslo Central Station. The work consists of a series of short visual disruptions that questions the relation between screens and human body, mind and matter, and the past, present and future. Sara Eliassen’s project The Feedback Loop explores how screen culture and the moving images surrounding us affects our thoughts, gazes and movements. The artist has looked at tourist and propaganda films of the twenties and thirties, in which techniques, such as montage and morphing, were used to induce viewers to identify with nationalist ideology. The work appropriates material from the Norwegian-German film Symphonie des Nordens (1938), and looks to how ideological elements have travelled with materials, technologies and aesthetic expressions throughout film history, and continue to operate in contemporary screen culture, working to produce objects to desire and subjects to hate; reaffirming binaries between good and evil, us and the other. 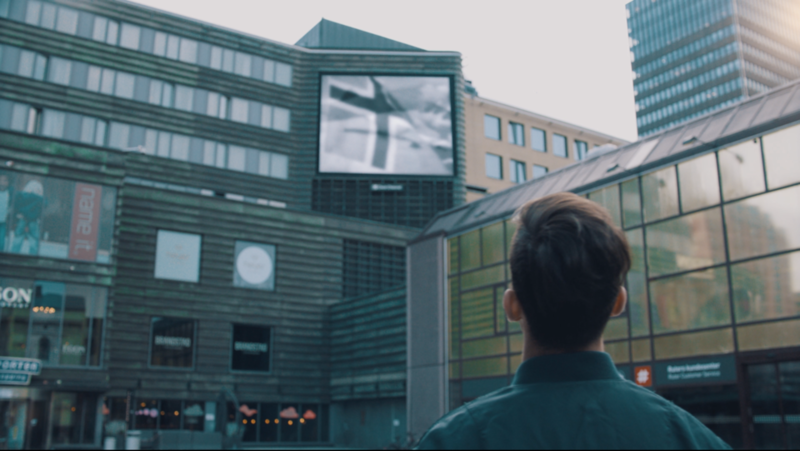 In collaboration with Rom for kunst, Eliassen shows an edited extract of the film Symphonie des Nordens on the Rom for kunst monitor at the entrance to the subway at Oslo Central Station. Sara Eliassen is a visual artist and filmmaker working in Oslo, Mexico City and New York. She is concerned with how vivid images, monitors and technology affect our eyes, movements, and thought processes. The Project Loop is part of Munchmuseet on the Move, curated by Natalie Hope O'Donnell. The project is supported by KORO / URO, Fritt Ord and the National Library. The screening on the Rom for kunst monitor is in collaboration with Rom for kunst.